So you have booked your cruise, the photos of the blue Adriatic sea have tantalized you long enough, and are ready to experience for yourself the joys of unfettered sailing holiday across the turquoise, blue sea. But, in the back of your mind, there is a thought that gives you worry, what if you get seasickness and thus run in danger of diminishing your joy at sea? 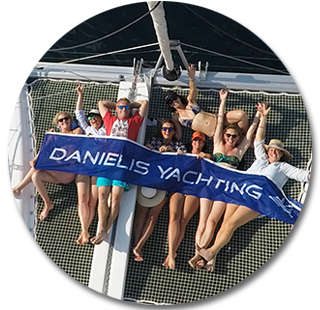 Have no worries, since in this article we will equip you with all the tips you will need for an uninterrupted sailing holiday! By some estimates, at least 90% of people will encounter some form of motion sickness in their lives. The feeling of motion sickness ensues when there is conflicting information coming from your body's center of balance that resides in your inner ear and visual information received by your eyes. While you are below deck your eyes don't detect motion in your surroundings, but your body still feels that you're moving forward and for some people, it causes symptoms that can range from mild discomfort to nausea. 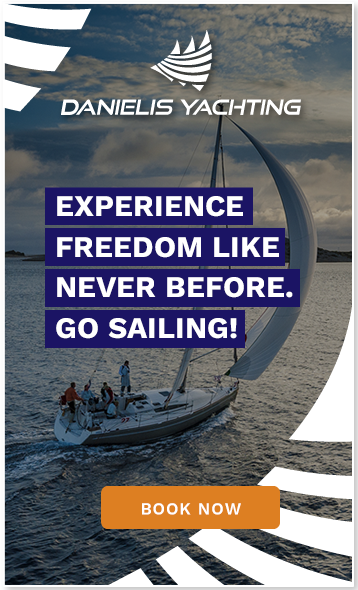 Usually, the feeling subsides after a day or two, but it is always better to be informed and thus prevent anything that might otherwise impair your ideal sailing holiday. A good thing to note is that you will truly rarely experience rough sea while sailing the Croatian Adriatic coast, especially if going the Split-Dubrovnik route since you will sail between the islands and thus be spared the rough weather on the open sea. If you have decided to visit some of Croatia's distant islands or captivating lighthouses your resilience might be tested by the ruler of the sea Poseidon, although his whims rarely last for very long. 1. Choose a catamaran – The choice of your sailing vessel will impact greatly your stay at sea. Usually, the bigger the boat, better the overall feeling of stability on comfort. In that department choosing a catamaran is the best option, since they are built with the purpose of providing maximum comfort while sailing the seas. They have a twin hull for added stability and are incredibly spacious. The sails don't even have to come up and you can be quite content while motoring along the Croatian coast. 2. Take a good nights rest before sailing – It comes without saying that lack of sleep is at the top the list of things that lead to a general feeling of discomfort which can get quite potentiated while under sail. So, be sure to relax and sleep tight, since the body needs sleep as much as it needs food to function properly. 3. Choose the cabin with the least pitching motions – While on the notion of sleeping it is best to choose a cabin in which you sleep the soundest so that usually means avoiding the forward cabin. Also, it is best to sleep on your back, since that position is the least upsetting on the stomach. 4. Avoid drinking an excess of alcohol or eating greasy and spicy food – Drinking alcohol in large quantities will lead to dehydration the day after which will do you no favors, not to mention that it impairs the REM phase of sleep, most beneficial to body recovery. Also, eating fatty foods in the morning such as bacon and eggs will prove hard to digest which might upset your stomach. If you have a delicate stomach, be sure to avoid drinking an excess of coffee or orange juice, since they are quite acidic. 5. Consume ginger in any form – Ginger is widely recognized by sailors as one of the best natural remedies for seasickness, so if you start to feel uneasy drink some ginger ale or tea or nibble ginger biscuits. 6. Drink Pepsi or Cola – These soft drinks contain phosphoric acid which helps greatly in alleviating the feelings of uneasiness in your stomach. 7. Spend more time on deck – Just spending some time on deck while gazing at the horizon will give our body a sense of balance and will help you adjust to your surroundings. While at it, why not just lie down and enjoy some sun tanning as well? 8. Use wristbands – Some wristbands, like Sea-Bands, put pressure on an acupressure point couple of centimeters above your wrist. While some people swear by it, its efficacy hasn't been scientifically proven. 9. If it comes to it take Dramamine or Bromine – These anti-nausea over-the-counter drugs will prove to be great helpers if you truly start to feel seasick, but since they are essentially antihistamines you may experience the feeling of drowsiness. 10. Prescription scopolamine patches – The most powerful and effective anti seasickness prescription drug would be scopolamine, but you can only have it by prescription so if you intend to use it, consult with your physician beforehand, especially if you are inclined to feelings of nausea. It should be noted that scopolamine is a powerful drug that might leave you with dry mouth and quite drowsy. 11. Concentrate on something else – The best tip to have in mind if you start to feel uneasy is to get up, engage in some boat activity or simply focus your thoughts on something else that will stop any nauseating effect in its tracks. There you have it, a list of 11 things to keep in mind that will prove as a deflecting shield from any sabotaging attempt of Lord Poseidon on your perfect sailing holiday across the clear, blue sea of the Adriatic. Now, with these tools at your side set sail and enjoy the perfect holiday you have yearned for!